You have read, understand and agreed to the terms and conditions found in the Pre-Inspection Agreement. You have read and understand the Standard of Practice referenced in the Pre-Inspection agreement found at the website: www.nachi.org/sop.htm. Secured entry to the property and confirmed with all appropriate parties: Real Estate Agent(s)/Seller/Builder. As most likely you have already been to the property at least once before please compile and share a list of any questions or observations that you may have. This will help the inspector customize the inspection to meet your needs and not potential overlook something of concern to you. Payment is due at completion of the on-site portion of the inspection. Payment can be in the form of cash, check, money order or via a PayPal link located on our website. Checks should be made out to “Rochester Home Inspections & Engineering, PLLC”. If cancellation or rescheduling is required please try and do so at least 24 hours ahead of the scheduled inspection. Thank you for choosing Rochester Home Inspections & Engineering, PLLC for your property inspection. We hope you will find your inspection a valuable and rewarding experience. If you have any questions please feel free to contact us. Seller inspections (sometimes referred to as pre-listing inspections) are becoming more popular because they virtually eliminate all the pitfalls and hassles associated with waiting to do the home inspection until a buyer is found. In many ways, waiting to schedule the inspection until after a home goes under agreement is too late. Seller inspections are arranged and paid for by the seller, usually just before the home goes on the market. The seller is the inspector’s client. The inspector works for the seller and generates a report for the seller. The seller then typically makes multiple copies of the report and shares them with potential buyers who tour the home for sale. Seller inspections are a benefit to all parties in a real estate transaction. They are a win-win-win-win situation. The deal is less likely to fall apart, the way they often do, when a buyer’s inspection unexpectedly reveals a last-minute problem. Agents can recommend certified InterNACHI inspectors, as opposed to being at the mercy of buyer’s choices in inspectors. Sellers can schedule the inspections at seller’s convenience, with little effort on the part of agents. Sellers can assist inspectors during the inspections, something normally not done during buyers’ inspections. The reports might relieve prospective buyers’ unfounded suspicions, before they walk away. Seller inspections eliminate “buyer’s remorse” that sometimes occurs just after an inspection. Deals are less likely to fall apart, the way they often do, when buyer’s inspections unexpectedly reveal last-minute problems. Have any of you had a deal fall apart at the 11th hour over an inspection report? Every hand will go up. Q. Don’t seller inspections kill deals by forcing sellers to disclose defects they otherwise wouldn’t have known about? Q. A newer home in good condition doesn’t need an inspection anyway. Why should the seller have one done? In summary, seller inspections streamline the real estate sales process for all parties involved. InterNACHI recommends that every home be inspected before being put on the market (listed) and recommends annual inspections for homes that aren’t for sale. People purchasing or selling a property usually work with a real estate agent. Not always but most of the time. When asked, the agent will usually offer a choice of one or more home inspectors or home inspection companies that they are familiar with or have affiliation with. Agents often recommend more than one home inspector in an effort to reduce their liability by allowing you the buyer or seller to ultimately pick the particular inspector or inspection company. At Rochester Home Inspections & Engineering, PLLC we have experience working with and are recommended by a large number of different real estate agents and agencies including: Century 21, Coldwell Banker, Home Safari, Hunt, Keller Williams, Nothnagle, Prudential, Realty USA, RE/MAX and many more. These agencies represent both locally owned companies and nationally represented franchises. There are lots of home inspectors out there – from independent contractors to franchise employees, from first-timers to seasoned veterans. I encourage you to do your research before choosing a home inspector, making sure that their qualifications are appropriate for your needs. Here are some of the reasons I believe you’ll benefit from choosing Rochester Home Inspections. 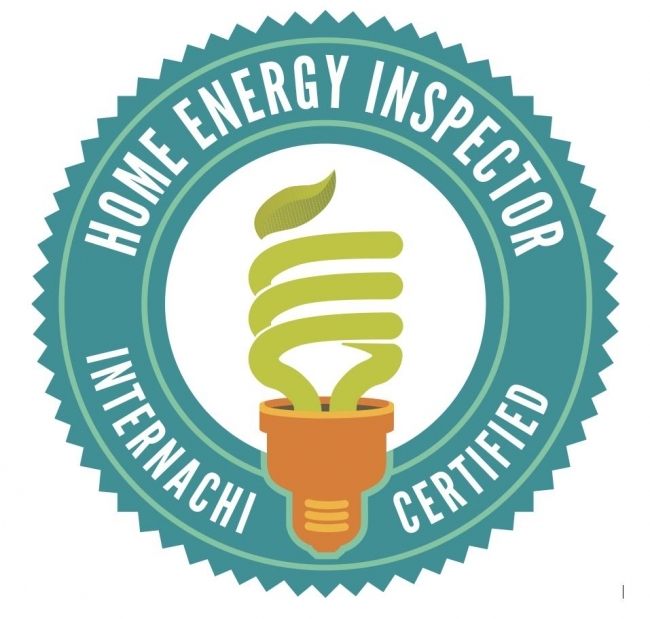 I’m a member in good standing and certified by the International Association of Certified Home Inspectors (InterNACHI). InterNACHI is the largest and most trusted home inspector certifying organization in the world. I follow the InterNACHI Code of Ethics and Standards of Practice. I’m a New York State Professional Engineer with over 30 years of hands-on experience and education in all aspects of construction (carpentry, electrical, plumbing, HVAC, roofing, masonry, engineering). A Professional Engineer is considered to be at the top of the pyramid of inspection professionals. Be wary of inspectors have a limited scope of knowledge – for example, a former house framer, plumber, or electrician may have a small knowledge base about the remainder of the home. By working with me, you’ll be supporting a privately owned local independent business. I’m not a “Kentucky Fried” home inspection franchise. I value continuing education, staying up to date on the latest inspection techniques to help you feel informed and empowered during your home buying process. I provide comprehensive written reports with photographs documenting any defects found. Always ask your home inspector before the inspection if they will provide photographs with their written report. Do not accept a report that is a simple “check box” format – you should have visually documented evidence of any defects found in the home. My reports not only include a description of defects found but a description of what, if anything, to do about the defect. My engineering background allows me the ability to offer solutions to any problems found, not simply a list of problems that then become yours to handle alone. My detailed reports help you to negotiate your property purchase from a position of strength through knowledge. Oftentimes, the information in my report can allow you to more wisely negotiate the cost of repairs. My hope is to help you save as much money as possible during your negotiations. You’ll receive your report the same day as your inspection, right to your email. I can also provide hard copies of the report delivered by “snail mail” if required. Once the inspection is over, you’re not left on your own. I provide lifetime post-inspection support. That means you can give me a call or shoot me an email, and I’ll be there to assist you with whatever outstanding questions or issues you’re having. Be aware that most home inspection services will charge a fee for follow-up support. In the home-buying world, time is valuable. You’ll find I’m readily available, usually able to perform a home inspection with 24-48 hours notice. And I value your time – I will perform a thoughtful and thorough inspection, craft a custom report, and deliver it to you within 24 hours. The core of my business is home inspections, NOT selling follow-up services. Be wary of home inspectors who perform an inspection with the end goal of up-selling you on a new roof, furnace, siding, etc. I will inform you if your home needs work, but only so you can make an informed decision on how to proceed. Did you know that products within a home can be recalled just like regular consumer products? I keep up to date on product recall information, and can inform you when such products are found in your home. Home inspection is my full-time business, not a side job or a hobby. Use caution with home inspectors who have an additional main business. They may be under-qualified, under-dedicated, or using home inspections as a means to gain customers for their main business. I can’t promise to always be the lowest bidder on a job, but the quality and depth of service you’ll receive can’t be beat. Your home purchase is a huge investment – don’t skimp by choosing a “cheap” home inspector who may not be qualified. You may end up paying for it in the long run if your inspector misses a problem that could have saved you negotiating dollars or future headaches. Do I sound like the home inspector for you? Then get in touch! You’ve already committed to a large down payment. You’re thinking of real estate broker commissions, home insurance, taxes, utilities, mortgage payments, and more. The last thing you want to do right now is spend more money. But the money you spend on a home inspection could be the most important money you spend throughout the entire process. Why? Here’s our Top 10 Reasons Why You Need a Home Inspection. 1. That home you’re about to buy is probably the biggest investment of your life, and you need to know its condition before you purchase it. 2. Does your roof, furnace or water heater need to be replaced or repaired? It’s an expensive repair, and you won’t know if you need it until you’ve had an inspection. 3. Can you smell lethal gas being leaked or vented into your home? Not necessarily. We perform special tests to check for gases that could harm your home or your health. 4. Is your house safe? We’ll look for things like loose railings, missing smoke detectors, or defective CO2 detectors. 5. Are your electrical outlets correctly wired to prevent electrocution or electrical fires? We’ll check that, too. 6. Did you know high water pressure can damage appliances and plumbing fixtures? It can, and it does, and we’ll make sure you know if it’s a problem. 7. Are there mechanical or structural issues with your property? How’s the foundation, how are the walls and floors? Even though your home looks sturdy, you need an inspector to tell you for sure. 8. Do you want to prevent flooding? We’ll examine your property’s drainage. Do you want to prevent unexpected injury? We’ll make sure your garage door operator meets modern safety standards. There are many items might that look fine on the surface that require a trained inspector to really understand. 9. Would you like to save money on your home purchase? Get the facts about your property so you can negotiate the price from a position of strength and knowledge. 10. The peace of mind you’ll get from a home inspection is truly priceless. If you’ve never had a home inspection before, you might be wondering how it works. Here are the five easy steps of the home inspection process. 1. First, make contact with your friendly neighborhood Home Inspector. You and the inspector can discuss over the phone the logistics of the inspection and what the inspection will entail. Things like when you can meet, when you want the inspection done, what the cost would be, where the property is and how to gain entrance if it is unoccupied or otherwise not always accessible. You’ll agreed on what items will be inspected and what items will not be inspected. The inspector will tell you that he/she is going to inspect the condition of the dwelling and report on that only. He/she will also probably tell you that he/she will not be able to tell you if you should buy or sell the dwelling, or whether it is being sold or bought at a good price. 2. Next, meet with the inspector at the residence at the agreed upon time for the inspection. The inspector will go over the Home Inspection Pre-Agreement with you. This agreement outlines what was discussed on the phone. Basically, what will and will not happen during the inspection, and the limitations of the inspector’s legal responsibilities. You’ll discuss the agreement and sign it. 3. Once the agreement is signed, the inspection will begin with a quick interview concerning the known facts about the residence. He/she will ask things like what year was the house built, how old the roof is, whether the house is on municipal water or a well, is there a buried oil tank, etc. The discussion will bring to light any other particular concerns or items that may need special attention during the inspection. 4. At this point, the inspector should invite you to come along while he/she conducts the inspection. You may or may not participate in the inspection – that’s entirely up to you. But the inspector should offer you the opportunity to observe. Some clients find the inspection interesting and informative. A typical inspection lasts 2 ½ – 3 hours depending on the condition and size of the dwelling as well as a host of other factors. The inspector will survey every facet of the property, noting his/her findings and answering any questions you may have. 5. When the inspection is complete, the inspector will review the findings with you and provide you a detailed report containing written details and photographs within 24 hours. Upon your approval and satisfactory completion of the inspection, you provide payment and walk away a more confident and informed individual. If you have any questions after your report is delivered, you should be able to reach out to your home inspector for more information or support. Quality home inspections have a number of common characteristics. These traits should be independent of who the individual home inspector is or when or where the inspection is performed. An inspection should provide an unbiased opinion. The most important factor that makes a home inspector unbiased is that he/she is not selling any follow-up contracting services. A home inspector should have no vested interest in the results of an inspection. This lack of interest in the results means the inspector is not going to be looking for any particular excuse to get follow-up contracting business. When having your roofer friend come over for a whole house inspection, he might be more interested in selling you a new roof than observing the electrical problems in the basement. Evaluation of the condition of the house is the inspector’s main goal. An inspection will not tell you if the asking price is appropriate, or whether the walls in the dining room are the correct color. This also means that you cannot pass or fail an inspection. It is not a “building codes” inspection that would be performed by a town or municipal code inspector prior to issuing a certificate of occupancy. While a home inspector will check for conditions based on knowledge of building codes, a home inspection is not a building code inspection. All through the process of evaluating the condition of the home, one of the inspector’s principle focuses will be safety. Safety is priority one! Items like loose hand rails, wiring problems, excessively hot water, and bulging basement walls should be addressed. These and other safety conditions will be identified and prominently noted. At the completion of the inspection the inspector will issue a report that details the findings of the inspection. This report is confidential between you and the inspector. Sharing of the report or any information contained therein is strictly up to you. The inspector will not share the results with any other parties, including real estate agents or contractors, thus ensuring confidentiality. Finally, a quality home inspection should leave you feeling knowledgeable and confident, walking away a better informed home owner. Most realtors and attorneys refer to a home inspection report as an “Engineer’s Report.” However, most people performing home inspections are not actually engineers! They may be licensed as “Home Inspectors,” but such licenses are not recognized by the State of New York as having the same level of competence and authority as an Engineer’s license. In fact, by law, only a Professional Engineer (P.E.) can give evaluations, recommendations and solutions regarding a structure and its systems. A “Home Inspector” may comment on the condition of individual components within a system. But he/she cannot, for instance, legally state that “the steel i-beam in the basement is the correct size,” for this would be regarded as the practice of engineering, for which he/she is not licensed. If your inspector is not an engineer, they may recommend that you have certain issues looked at by an engineer for further information. Don’t get caught in the scenario of having to decide whether or not to undertake the additional expense of another inspection. Ensure your inspector is a professional engineer, and you’ll only need one inspection to get all the details you need. Your inspector should have the designation “P.E.” (Professional Engineer) after their name or on their website. Some people may refer to themselves as engineers because they work in a related field and/or may have graduated from an engineering college, but only those who have passed the New York State licensing process are legally allowed to call themselves an Engineer in New York State. You can check your inspector’s credentials with an easy New York State verification search. This is a sampling of typical observations noted during a home inspection. These items are things typically not detected during a casual walk through during an open house. However, a competent home inspector should detect these items during a home inspection. This new sub-panel was apparently installed for the swimming pool and has the ground wire and neutral wire bonded together, they should not be. Furthermore, its main disconnect is 100 amps but the cable feeding it is too small a gauge wire. This panels feed cable need to be replaced with a 4 wire type of appropriate size. This panel also needs more labeling describing where the breakers go. Additionally, the wire shown on the lower right is a 14 AWG size where the breaker is 20 amp. This wire is too small for a 20 amp breaker. Either the breaker should be changed to 15 amp or the cable changed to a 12 AWG size. The electrical panels and electrical system needs a professional licensed electrician’s attention as this panel as wired is a fire and electrical safety hazard. This beam is not properly supported. It could fail under the load and cause the floor above to collapse. A license contractor should replace this unstable support with a properly build wall structure. This is lamp cord being used to connect this switch to a basement ceiling light. It is against electrical code as well as being a fire hazard. This condition should be resolved by a licensed electrician. I also saw this in the attic access area. The Temperature Pressure Relief (TPR) valve should be plumbed to within 6 inches of the floor it was not. If it were to release hot water it could injure someone. Have a professional license plumber resolve this issue when the heater is repaired or replaced. This water meter is missing an electrical ground jumper cable. This cable is an important electrical safety measure and should be replaced by a licensed electrician. This kitchen drain trap is an S-type. It can cause odors by not creating a good seal and is building code illegal in new construction. Leave as is if you are not seeing any problems. Also the disposal did not work. Cold and hot water to kitchen sink did not have shutoff valves. The shutoff valve shown was to the dishwasher. A noticeable bulge was observed in the front (east facing) wall. This bulge was measured as extending about 1 ¾” out from the base of the wall. This is considered a serious structural deficiency a bulge more than even 2” could make the wall unstable and collapse. Some of this walls problem may be resolved with appropriate gutter extensions and grading of the exterior property to reduce hydraulic pressure. I will include some addition information with this report about things that may help. Garage access door should have a spring loaded auto closer and be of a ¾ hour fire protection type. Here is some of that aluminum branch wiring I was talking about. This needs to be checked by a license electrician as it maybe a fire hazard. These breakers are 20 amp they need to have 12 AWG size wire but have the smaller 14 AWG wire. The breaker should be changed to a 15 amp size or the branch wire changed to 12 AWG. This is a potential fire hazard. Also, in the same picture it shows two wires going to a single breaker. This is called a double tap and can also be a hazard. This should be rectified by a licensed electrician.